PRINTED WITH RAISED INK THERMOGRAPHY! 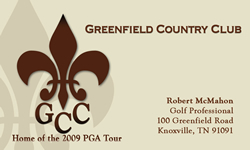 Present a high-end professional business card with classic textured linen card stock. Upload print-ready artwork or type in your layout information in the box below and upload any logo and graphics and we will create it for you. NOTE: Any supplied artwork that does not use use exact colors from our pallet will cost additional. Supply all artwork, logos and graphics as 300dpi, CMYK PDF files for best results. Turnaround is 3 to 4 business days from approval of the proof. It will then ship UPS ground. You may request faster shipping at checkout. Layout Information includes name, title, company name, address, phone numbers, email, web site, any add'l content and instructions. You may upload in a PDF, WORD or EXCEL file. NO LOGO-NO PROBLEM - Allow one of our talented graphic designers to create your logo. Simply include a short description of your company product or service with your layout information and we will do the rest! Price of $75 includes 2 revisions, additional revisions $15.